Q: What is The Sensation Nation? A: We are a sensory based gymnastics/swim program based out of typical gymnastics centers and pools. We have combined Occupational Therapy and Kinesiology to develop the program. A typical session would be a healthy dose of sensory input, motor planning, help with behaviors that can arise, and social skills development (due to the fact that we operate out of existing facilities). Our staff has been trained by our licensed/certified OT and movement specialists. The sessions start off as one-on-one lessons and can lead to our group sessions, then potentially to the typical gyms program. Q: How do your recreational gym classes differ from a typical gymnastics class? A: The Sensation Nation classes differ from a typical gymnastics program in that we train our staff with various occupational therapy and kinesiology techniques on a regular basis. Our coaches work almost exclusively with special needs children, and their understanding is greater than that of a typical gymnastics coach. Q: What is the difference between your OT and Recreational Therapy sessions? A: While there are several very significant differences between the two programs, there are also many similarities. The occupational therapy program is always instructed/facilitated by a registered and licensed occupational therapist. Initial OT evaluations are administered to establish a baseline of functioning in the areas of gross and fine motor development, visual motor and perceptual skills, sensory processing, cognitive functioning (such as attention, memory, mental flexibility, emotional regulation), levels of dependence/independence with self-care skills, community integration, and social functioning. After a baseline has been established, functional goals are set that are meaningful and measurable. Most importantly, occupational therapists are knowledgeable about the neuro-developmental progression of skills that are the foundation for higher-level academics, movement patterns, self-regulation and social participation. It is this knowledge that guides the therapist in choosing the various intervention strategies for each student. OT sessions may be reimbursable by insurance. The recreational program, on the other hand, is facilitated by highly qualified sports coaches whom also have backgrounds in child development, behavior management, adapted physical education, kinesiology, or are students in the occupational therapy program. The recreational staff is trained by the OTs. A recreational assessment includes an overall picture of the child’s strengths and weaknesses in the areas of motor performance and behavior. Sessions are individualized to meet each student’s needs and focus on skill development, fitness, behavior modifications and fun. Q: How can floor time assess areas of fine and gross motor skills? A: By “floor time” we mean the time that the child will be actually engaged in activities at the facility. Our programs are geared to address a child’s specific motor, behavior, and sensory needs. Q: What standardized tests will be used by the OT? A: As far as the tests used by the OT for the assessment, it depends what is appropriate and how well the child is able to follow directions. If a standardized assessment is not appropriate, then the OT will use other measures and clinical observations. We would usually use the BOT-2 for a motor assessment if able, in addition to the sensory profile. Q: Is there an age limit for your recreational and OT services? A: We typically ask that children be between ages walking-18 years. Due to insurance, we can only take children up to 18-years-old. Q: Are siblings allowed to participate? A: The facilities typically have classes right around the same time that our sessions run. It would just be a matter of finding the right fit. Q: Can you work on bike riding? A: Yes, we can work on bike training. For the sessions, you would need to bring your own bike. The session will be split between indoor gym training and outdoor bike training. The indoor gym training is necessary to assist with muscle strengthening required for bike balance. Q: If a child resists participating in certain activity or is having behavioral problem, what would you usually do? A: Our staff is trained to work with and around resistance and behavioral issues. We won’t force activity and so there may be periods of inactivity during a challenging moment. The safety of our coaches and students is the highest priority. Q: Do you allow private ABA aides to come with students if needed? A: As long as the facility is OK with it. The aide’s generally only need to come out a session or two. Q: What is the experience/training of the adults in handling children with low functioning Autism? A: Each staff member has been trained to work with children with special needs by our OTs and senior staff. They have worked with a variety of different children, all with different needs. Q: Are parents allowed to observe from a distance to get an idea of how the activities are run and how kids are doing? A: Parents can certainly stay and observe; there are seating areas in all the facilities. Q: My child is not potty trained? Is there help to take them to the restroom? A: We do require the kids to be potty trained, however, if they aren’t someone needs to stay at the facility with them in case of an accident. Q: Can I turn in paperwork directly to our therapist/coach? A: We do not have our therapists/coaches handle paperwork. We ask that you send paperwork directly to the TSN office. If you feel uncomfortable mailing/faxing your credit card number, we would be happy to take it over the phone. A: We are based out of a number of different gym locations in Northern California and Raleigh, North Carolina. Please check out Locations tab to see exact locations. We operate independently from these facilities. Q: Are your gym facilities crowded? A: Typically the gyms we work in have a good number of children in it. However, we see that as a positive in our program as that offers a natural environment for the children to learn from and introduces a social aspect. Q: Are the facilities heated? A: Yes, our facilities are heated. We suggest bringing a sweatshirt, which your child can remove if they become too warm. Q: May I have the information for recreational program such and schedule for gym, swimming and sports program? A: Please contact us directly for information regarding scheduling. Our available sessions, coaches, and facilities are continuously rotating. 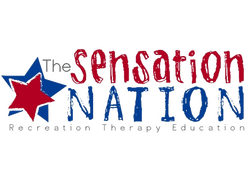 You can contact us at info@thesensationnation.com or call us at 866-292-5290. Q: Do you hold spaces for clients if we decide to go on vacation or take a break? A: We do not hold spaces for clients. Please understand that we typically cannot save time slots without payment. However, we will work with you once you return to try and find a new session time if it is given away. Q: Is it possible to preview a class or have one of our therapists preview a class to see how it is structured? A: You can watch a session from the parents viewing area, please call to see when sessions are being held. Q: Is the commitment monthly or would it be possible to try it out for a session first? A: We require payments for the full month. We typically don’t offer one-time tryouts because the first session is an assessment and it may be difficult to get a good feel for the sessions from just one visit. However, you are welcome to visit and observe. Q: Does TSN offer sports programs? A: We have sports clinics offered at various points throughout the year, as well as summer camps. They are 8 week clinics that focus on a specific sport. We also are able to have coaches work one on one with clients on specific sports skills. We typically will work on gross motor skills through the equipment in the gym and add the ball sports into that. Q: Does my child need to have a certain skill level to join the sports clinics? A: We work with a variety of skill levels in our camp, and your child does not have to have any previous experience to join. We split children into groups based on their skill level. Q: What is the age ranges for summer camp? A: The ages vary during camps, but are typically in the 4-13 range. We split up into groups to work on age/developmental appropriate skills. We can speak with you directly to see if your child would be a good match. Q: What is the camp/sports clinic adult to child ratio? A: The ratio is anywhere from 3:1 to 5:1, depending on the child’s abilities. We split up into small groups to work on age/development appropriate skills. Q: My child usually needs a 1:1 aide as he needs assistance with most activities – should I plan on providing one for your camps/clinics or will you have enough helpers? A: We do not have enough staff for one-to-one during the camps. You can send an aide along. Q: Do parents need to be present for camps/clinics? A: Parents are not required to be present for the sessions, unless your child has a need for you to be there. For toileting, parents need to be present. If there are any separation anxiety issues, a parent needs to be present at the beginning of the week. Q: What are the activities planned for the children in the summer camp? Q: Does my child need to meet with you or someone from your organization before the camp starts to evaluate her abilities? A: We don’t require an assessment, but will send a questionnaire after receiving the registration form.